I’m Brecht Morris, Fisheries Technical Officer for the Environment Agency. We have recently finished working with Natural England and English Heritage on a really interesting project in Herefordshire. Mortimers Cross Water Mill is an 18th century working mill on the River Lugg. 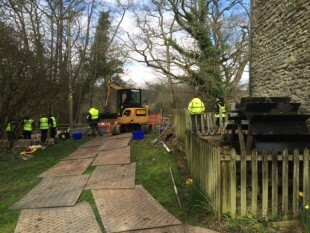 English Heritage needed to conduct some urgent maintenance work to renovate and protect this important historic building so they applied for consent to drain an area in front of the water wheel and remove the silt that has built up over the years. The River Lugg is both a Special Area of Conservation (SAC) and a Site of Special Scientific Interest (SSSI) protected by international and national designations. We worked alongside English Heritage and Natural England to find the best solution to complete the work whilst protecting the rare migratory fish and other species that live in the river. 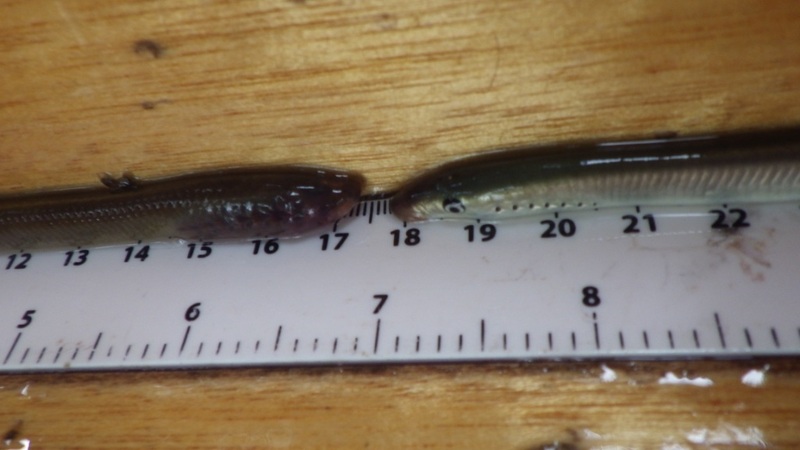 Environment Agency staff identified that one of those significant fish species that would be present within the working area would be lampreys. These illusive fish are extremely selective with their spawning sites and will only nest where the water quality is good. 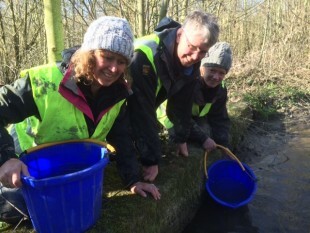 So their presence in the River Lugg is great news for water quality. There are three species of lamprey in the UK. These are brook lamprey, river lamprey and sea lamprey. These are all Habitats Directive species; river and sea lamprey are UK Biodiversity Action Plan species. This means they are rare and need to be protected. Lamprey species all spend the first few years of their life buried within the sediment as they feed on the silty and sandy parts of the riverbed. At this stage they look very different to adults, the young lampreys are called ammocoetes and they are particularly vulnerable to silt removal from rivers at all times of year. Later these individuals start to change and are called transformers. Once they’ve undergone this change they then go to live outside the silt. The team involved in the project was made up of Natural England staff, contractors working on behalf of English Heritage and staff from the Environment Agency fisheries team. The team used a range of techniques to sift through silt, recovering 53 lamprey including ammocoetes and transformers before the silt was removed from the site. They were released further downstream back into the same river the same day. I think that this was a really successful example of partnership working to protect and raise awareness of some of our lesser known rare fish species. 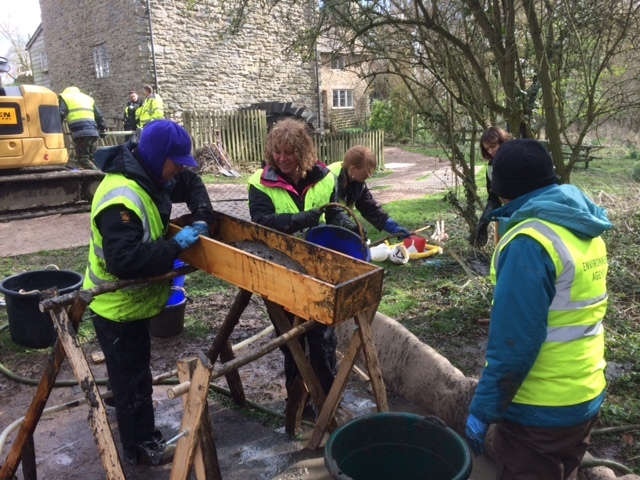 It was a great opportunity share information and learn alongside our colleagues in Natural England whilst getting stuck in to some physical dirty work to rescue a large number of lamprey.